In any home, one of the first things people would critique is its exterior appearance – it’s the first thing both guests and passers-by would see. People would look at the overall theme, the color schemes, the style of the windows, the appearance of the roof and what kind of roofing materials were used, the external sidings, and so much more. Most people have the tendency to focus on what’s the most eye-catching part of any home. And more often than not, it’s the front door. 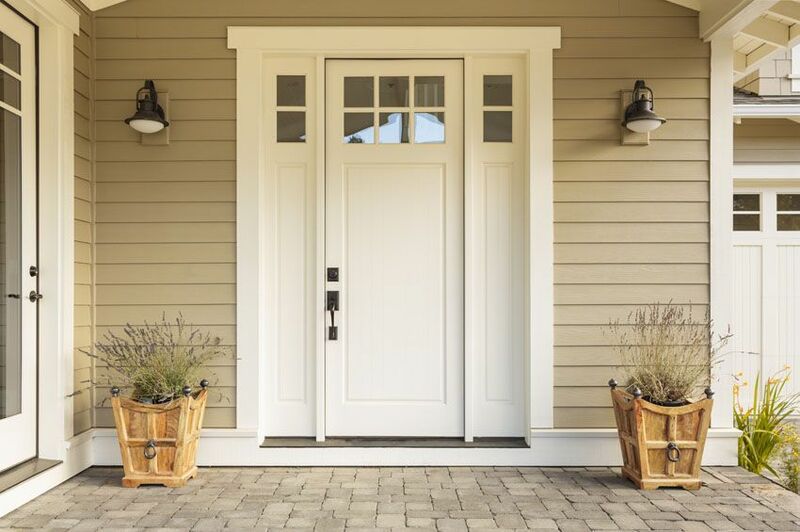 In fact, did you know that 30% of people said that the front door or porch is the first thing they would notice immediately when they arrive in any home? This was according to a recent study conducted by Hitachi Personal Finance. Not only that, respondents also said that the appearance of the exterior door also gives them their first impression of the entire home, and even your lifestyle. If those survey results make you conscious about your own front door and you want to have an idea about how much a new one might cost you, or you’re already actively scouting the market for it, you’re in the right place. In this article, we’ll give you the lowdown on replacing doors, including the different materials for doors and door frames and the rough cost to hang a door. Sometimes, the idea of home improvement scares homeowners. Even without having any clue about the estimated costs for any project, they would automatically assume that it’s going to be expensive. 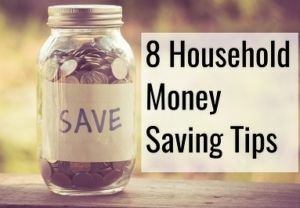 It’s not always the case; and even if a home improvement project is expected to be costly, there are still some ways you can cut costs and save some money. The cost to hang a door is not an exception to that; you can get a new door and door frame installed in your home on a tight budget, but you can also spend thousands for it. It would all depend on several factors. We’ll clue you in on the major ones. The material you want to use for your new door will greatly affect the entire cost of the project. This would have a domino effect, as the door material would affect the hardware and accessories you can install, which would then affect the labor costs. Not only that, how your chosen material will be sourced will also affect the costs. If you choose to find it on your own, you’ll also have to deal with the logistics of it – transportation, gasoline, manpower, etc. But if you choose a professional, it will be convenient for you, but maybe not so much for your bank account. Do you want just a basic doorknob and locks, or do you want a keyless entry with security features? Are you planning to install a peephole to it? Is the look you’re going for the vintage type with the fancy door knockers and handles, or are you planning to go for a modern minimalist style with just a simple handle and keyhole? We could go on and on with these kinds of questions, but the fact of the matter is, the accessories and hardware you choose will also add up to the total cost. Aside from buying those items, you will also have to include the cost of getting them installed. Of course, the more accessories you have, the more you’ll have to pay for labor. Aside from the material of the door itself, labor costs will take up a large portion of the overall cost of replacing your current door with a new one. This is not only limited to those we mentioned above. Some homeowners assume that the cost of installing a door for the first time in any home costs the same as replacing an existing door with a new one, since the process is just the same. However, they forget to factor in the cost of removing the existing one as well, as well as the difficulty of replacing a door compared to installing it for the first time in an opening. There’s also the fact that it might affect your home’s electrical lines, and even your plumbing system. If this is the case, you’ll also have to look for electricians and/or plumbers to reroute those lines. You’ll hit the jackpot if you can find a contractor who can replace your door, but is also a licensed electrician and plumber – it will decrease the professional fees, but it can also be like looking for a unicorn. Unless you’re going to replace your current exterior door with a new one that has the exact same measurements, the size of the new door will affect how much you will be charged by the contractor for its installation. If your contractor has to increase the size of the opening to fit your new door frame and door, or make it narrower, that’s an additional charge as well. Any adjustments needed to be done in the opening will increase the total cost of labor. Some homeowners look at doors as something that’s just functional, so they just stick to the basics. On the other hand, there are also some homeowners who know the great potential of doors being like pieces of art that will get anyone talking about it and as a result, they jazz them up. This means adding decorative glass panes or stained glass, art deco grills, intricate wood carvings, transoms, and sidelights, among others. And because they are intricate details, you may have to work with artisans to get the look you want. Not all homeowners know that when it comes to construction or home improvement projects, there are differences when it comes to city or urban and rural rates. 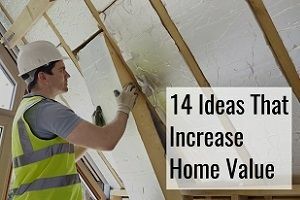 If you live in a city or an urban neighborhood where the cost of living is quite high, you can expect higher prices for your materials and hardware, as well as labor. On the other hand, it is more than likely that everything will be quite cheaper when it comes to door installation and replacement projects in rural areas, like small towns, where the cost of living is less expensive. Some homeowners also prefer getting the services of certain contractors or businesses that are located in another town or city. This will also affect how much they will be charged, as those contractors will require additional fees for their transportation, or they will slightly increase labor rates to make up for their expenses. Many manufacturers include warranties on doors and doorframes, and this can give you a hint of what you can expect with the doors and door frames they are offering. If the warranty period is only for a few years, or the clauses will hardly give you anything in case there are issues with it, you might want to think about why it is so. But if they offer a lengthy warranty period with clauses that are clearly explained, that’s a good sign. This can hardly affect the overall cost of your door replacement since it is often included in the price of the actual door, unless the manufacturer offers extended warranty for a fee. 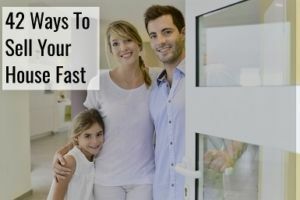 It can help you save in the future if you suddenly have issues with your new door. To make your door truly stand out, as well as last for a long time unscathed, you’ll also have to invest in customizing it. And by this, we mean focusing on both aesthetics and longevity. Doors are known to last for a very long time, but they are still not immune to damage. That’s why some offer preventive measures to help make these doors survive all kinds of hits. Weatherproofing and waterproofing are the most common upgrades homeowners make involving their doors. We all want doors that are striking, yet blend in with the overall look and feel of our homes. Prefabricated doors usually have very plain appearances to make them fit in nearly every home, and this is not the look we should go for if we want your exterior doors to stand out. In order to achieve that, we’ll have to customize it. 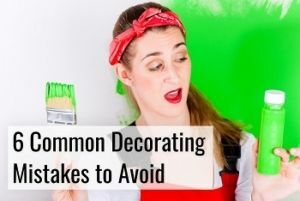 It can be as simple as just getting a paint job or stain it to add character, get a door threshold installed, or adding any decorative pieces to it. Of course, you’ll also have to pay for additional labor costs, aside from the cost of materials, to get these done. Gone are the days when doors are limited to single, plainly designed ones. Nowadays, we can get our doors customized not just in terms of the design but also with the kind. Doors now come in a variety of options. Instead of a single door, you can have two doors used on your front door, as well as a half door or Dutch door where you can open just the top half of the door first. Modern homes also go for non-traditional doors, such as the sliding and pivot types. It’s a given that the more complicated the doors you want installed, the more it will cost you. Basic doors will always be the cheapest. Before you make final plans, always consider these factors so that you’ll have a general idea of how much you should allot for it. It’s always better to have extra funds after completing any construction work, than go beyond your budget. In the past, almost all exterior doors were made out of wood. But in recent times, many homeowners go beyond choosing wooden doors for their homes. A front door, in particular, can be made out of other materials now. To help you in choosing what material to use for your exterior door, and even interior doors, we’ve rounded up the most common materials out on the market nowadays, including any pros and cons they have. The most popular choice then and now, wood offers a classic appearance and versatility that no other door material can offer. You can paint it in whatever color you want, add decorative elements, and comes in different finishes for you to choose from. And if you want a uniquely-shaped front door, which is the rage nowadays, that can be easily done with a wooden door. Solid-core – the surface or outer veneer of the door is crafted out of a fine-grade wood, while its core is comprised of engineered wood, usually Masonite or MDF. Ideal for interior doors. Hollow-core – the cheapest among the three, hollow-core doors are made out of a wooden veneer of good quality, but its core is plastic or cardboard with a honeycomb pattern. Because of its composition, it should be used indoors. While wood is generally a budget-friendly option, its maintenance is what will set it apart from other materials. To keep it looking great, you’ll have to apply fresh coats of paint to it every few years. And even if you take good care of it, it’s not immune to the elements. Wooden doors are known to warp when exposed to moisture, as well as form cracks at high temperatures. But, these issues are minimized because most solid wood doors nowadays are crafted using multiple pieces of wood for a single door, just like a jigsaw puzzle. This type of construction lessens the instance of warping, or at least doesn’t make it very obvious. An exterior wooden door’s price ranges from $150 to $3,000, depending on the type of wood used and any decorative elements added. Surprisingly cheap, steel doors used to be primarily associated with commercial buildings, but are now being used in homes as well. Steel doors are at a great advantage when it comes to security concerns, as they are very strong and is a good deterrent against burglars. Steel doors can also be customized to your liking, though a bit more limited compared to wood. Its insulating properties are also good and it also has better weather-resisting capabilities than wood. But because they are made out of metal, this material is easily affected by temperature changes. As a result, it can be either hot or cold to touch, depending on the outside temperatures. And while it can withstand various weather conditions, it is still susceptible to rust. And if you have it painted, you’ll also need to do touch-ups every few years. This material is also prone to denting. Minor ones can be easily fixed, but if the dents are too bad to the point of being unrepairable, you can’t remove only the damaged part – you’ll have to get an entirely new door. The cost of a steel door can be as low as $150 to as high as $2,500 if you have any accessories, such as sidelights, installed on it. Homeowners who want the customizability and look of wood, minus the warping issues, use fiberglass doors. This material is also durable, impact-resistant, as well as weatherproof because of its insulated core. It is also a low maintenance material, only requiring cleaning every now and then. Repainting it is generally not as frequently needed as wooden or steel doors. 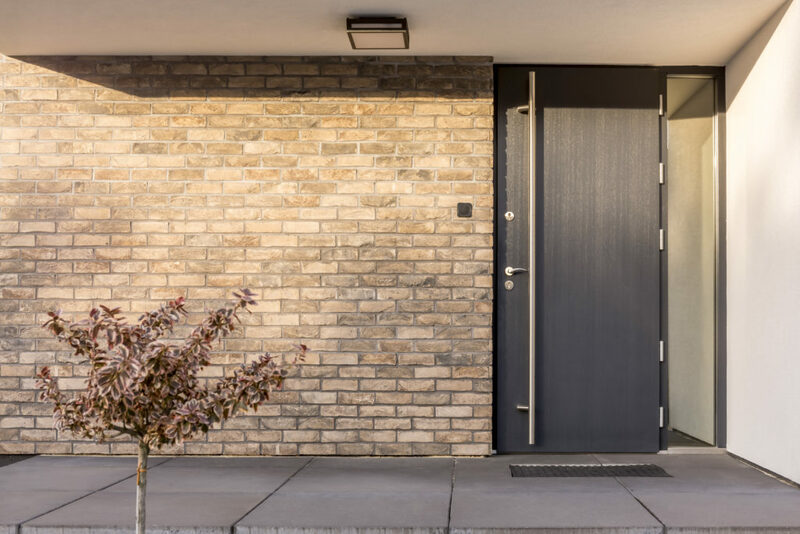 Because of its many advantages over the other materials, it’s no surprise that fiberglass is generally the most expensive among the other door materials – which is considered as its only con. 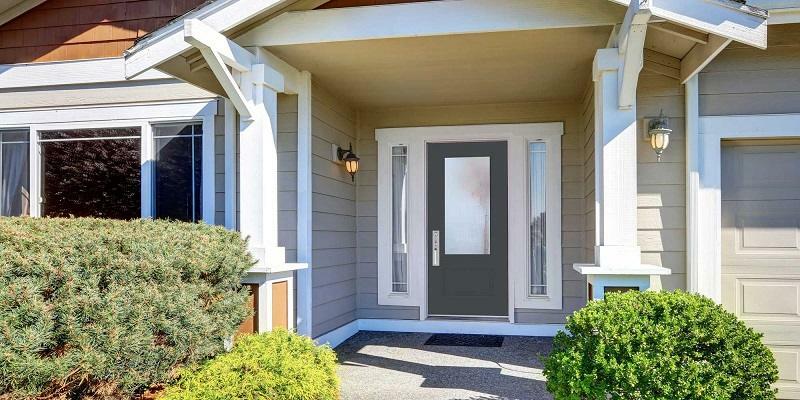 A fiberglass door, on average, is priced between $150 up to $5,000. Another material increasing in popularity nowadays, especially for those after a modern themed home, is glass. It lets in the most amount of natural light in any home, which can be beneficial when electrical bills are concerned. It can also be low maintenance, since most glass doors nowadays have a special coating capable of repelling dirt. And even without that coating, all you’ll have to do to maintain it is to clean it – no repainting needed. Rusting and warping will also not be an issue. If privacy is important, this is nearly non-existent with glass doors. Glass is also known to be breakable and fragile, and glass doors are no exception to that, even if you use the tougher reinforced glass. In fact, strong winds are known to shatter glass doors. The cost of glass doors can be somewhere between $300 to over $1,000. No longer limited to gates and fences, wrought iron is also now used as a door material but is often combined with either wood or steel. Like steel, this material is also durable and burglar-resistant, but won’t easily dent. It will also not warp, rot, or be infested by pests. And they are beautifully-made, catching the attention of anyone. Because they are intricately made and well-crafted, wrought iron doors are expensive. Unfortunately, they are still at risk of corroding and being discolored, that’s why regular maintenance is also needed. And because they are heavy, wrought iron doors will require special handling and an increased labor force when being installed. As a result, the total installation cost is also pricey. Wrought iron doors can set you back by $1,000 to as high as $7,000. Not to be confused with steel, aluminum is a much lighter material than others; however, this doesn’t mean that it is not durable. It is also one of the greenest options available, as it can be crafted using recycled aluminum. Aluminum doors are generally custom-made, according to customers’ specifications, making them suitable for any home. This rust-proof material also usually comes with a warranty good for 20 years on average. But because it is a lightweight material, it will also dent very easily. While it is great at withstanding cold temperatures, it is still a conductive material that can be greatly affected by high temperatures. The price of an aluminum door will usually be around $100 to $2,000 on average. Each material has its own set of advantages and disadvantages that you should take note of, before choosing what to use for your door. Aside from the door itself, the cost of installation will also take up a huge chunk of your budget. In fact, the labor cost is said to be usually around 20-30% of the price of the door itself. This is why the cheaper the door material, the less you have to pay for labor; cheaper door materials are much easier to install than their more expensive counterparts. Contrary to what most would think, the labor cost to install an exterior door is much more expensive if you’re going to replace your current door with a new one. Also, installing exterior doors is pricier than interior doors. For exterior door replacement installations, expect to be charged around $900 average if it’s just fitting a new door to an existing opening. The price of installing the frame is separate, costing around $150 to $250 on average, or roughly $7 to $16 for every square foot. And if rewiring is needed, electricians will normally charge $75 for every hour of work. But if you’re installing just the door itself to the same doorframe or jamb, expect to shell out between $300 to $1,500. 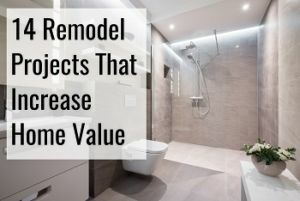 Do note that this rate only covers the door installation, and you’ll have to pay additional fees to install other accessories, hardware, and decorative elements, such as skylights. Licensed contractors will charge around $70 per hour for this task, while handymen may only charge between $30 to $40 per hour for the same job. But if you live in an urbanized area where the cost of living is much more expensive, expect their hourly rates to be much higher, even reaching an average of $120 per hour. Since you’re dealing with a replacement job, it’s not just the installation itself that you will be charged for. Professionals will also bill the removal of the existing door that would be replaced, as well as any adjustments they have to make with the opening to fit your new door. And if your contractor needs to add drywall, it will cost you around $1.50 per square foot. In sum, the cost to hang a door, both interior and exterior ones, will depend on your chosen door material, as well as any adjustments that may need to be done to fit your new door. The cheaper the door material, the less complicated the installation. And the less complications and adjustments needed to fit the new door, the less you need to pay for labor. Pre-hung doors are known to be budget-friendly options, from materials and even down to its installation. Many of these doors already come with the frames and hardware, lessening the amount of labor involved. As a result, contractors will only need to fit it to the opening. Depending on the material, pre-hung doors will cost around $100 to $250 on average. The labor cost is often the same amount as the actual door itself, averaging $85 to $250. In short, a pre-hung door, including its installation, will cost around $200 to $500. Pretty cheap, isn’t it? 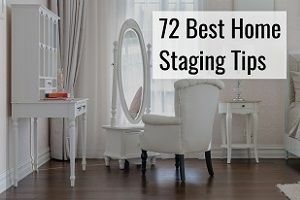 However, remember that you’re giving up customization, as pre-hung doors have very limited materials and styles for you to choose from, and it is likely not possible to get it changed to whatever style you want. Let’s admit it – the DIY method on any home improvement job is a very tempting idea. After all, the cost of labor is zero, since we only have to rely on ourselves. Spending nothing sounds better than spending hundreds or thousands for the same job, isn’t it? One mistake that homeowners often make is underestimating a home improvement job. Video tutorials make them look and sound so easy, but there are really some things best left in the hands of professionals. Yes, door installations are part of that list. Contrary to popular belief, installing a door is not as simple as nailing it to an opening. It also involves making sure that the door works correctly and that it is properly and securely installed – two things that not everyone can successfully accomplish at the first try. Even the installation of pre-hung doors is not as easy as it seems. When a door and door frame are improperly installed, there’s a higher chance that some components have been damaged in the process. As a result, they will have to be replaced before reinstalling the door. Not only is it a hassle to redo the work, you also have to deal with unnecessary expenses to replace the damaged components. In the end, it will likely be cheaper to get a contractor to do the job for you. The professional fee may be quite pricey, but you’re also paying for the convenience, your piece of mind, and minimal to zero wasted materials. Not a bad trade, right? This is even more recommended for exterior doors, as they also add a layer of security against not just thieves but also extreme weather conditions. If not properly installed, these doors may let in not just people but also water, snow, winds, and other elements that can badly damage your home. For many professionals, installing and replacing doors is a relatively simple task compared to other construction jobs. In fact, it can even take some contractors as fast as 3 hours to completely install a new door. What can be more time-consuming is looking for a contractor for the job. 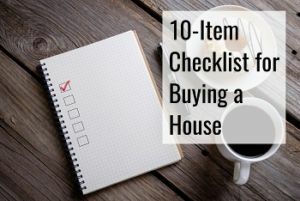 Homeowners would have to score the internet, yellow pages, and even the streets, to find and talk to potential contractors, negotiate with them, and narrow down your choices to one. Looking for one might take longer than the actual job. 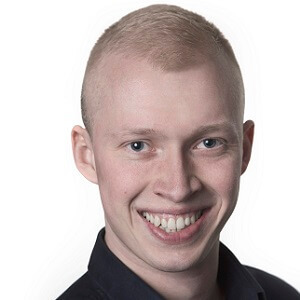 Lucky for you, we have made this entire process a lot easier; you don’t have to do all that legwork and spend too much time on your computer and on the phone if you use our free service. All you need to do is to fill out our form with your details and the job you want done, and wait for the contractors to get in touch with you, including their quotes for the job. And since they know that they are not the only ones that you will be considering, you’ll receive very competitive quotes to entice you to choose them for the job. All you need to do now is to choose which contractor to hire. But if none of their quotes sounds good to you, you have the liberty to decline their offers without any penalties. Free quotes from up to four contractors, with no commitment to anyone of them if you don’t want to hire any of them – it doesn’t get any better than this. Just try it out – again, this service is free!